Buses are a great way to transport large numbers of people. From daily commuters to school buses filled with students, we share the roads with buses everyday. Although buses are crucial for transportation, because of their high occupancy and their massive weight, buses have the potential to cause catastrophic accidents. Poor Maintenance – Buses require a lot of upkeep, and companies need to regularly inspect vehicles to identify potential problems. Buses that are poorly maintained can suffer from catastrophic failure. Negligent Hiring – Bus companies are responsible for the drivers they employ. If they fail to run a background check or don’t provide adequate training, irresponsible or inexperienced people get behind the wheel. Faulty Parts – Sometimes defective auto parts inside the vehicle cause bus accidents. They can cause fires, a loss of control, or other dangerous situations. Driving Under The Influence – Many people would be surprised to learn bus drivers could be so irresponsible as to drive under the influence of drugs or alcohol, but the sad reality is this happens and it causes devastating accidents. Bad Weather Conditions – If a bus drives through bad weather conditions, the driver needs to exercise additional caution. Wet roads and high winds could cause the bus to lose control. Distracted Drivers – Bus drivers are just as susceptible to distracted driving as other drivers. Engaging in behaviors like using a cell phone, eating, or talking with passengers while driving takes the driver’s eyes off the road and hands off the wheel, which can easily cause accidents. Risky Driving Behaviors – Speeding and/or running a traffic light are always incredibly dangerous, but when buses engage in these behaviors the risk is greatly heightened. 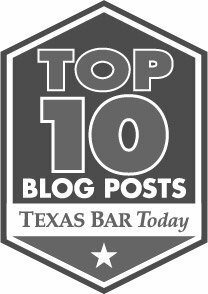 Bus accidents are devastating, and if you have lost someone in a Houston, Texas bus accident, you likely have many questions. The experienced personal injury lawyers at Blizzard Law PLLC can help you understand your legal options and fight for your rights. Call us today to schedule a free consultation.